Founded on September 12, 1962 initially as the Thrift D Discount Center by Alex Grass in Scranton, Pennsylvania, it experienced continuous growth and eventually debuted as a public company in 1968, the same time they adopted its current namesake. They have over 4,600 U.S. locations and 8,000 associates. They are the largest East Coast drugstore chain and the third-largest in the country. It is publicly traded as RAD on the New York Stock Exchange and a Fortune 500 company. Employees get Union medical benefits, 401(k) retirement plans, health, dental, and vision coverage, long-term disability insurance, death insurance, paid job trainings, schedule flexibility, and opportunities in career advancement. Paid vacation leaves are open if the average hours are met. Employees commonly mention the work environment as being friendly and supportive. Employee discounts are well-received as well, and the company provides a reward system to “pharmacy champions”, a program that encourages and recognizes good working associates. How old do you have to be to work at Rite Aid? The Company allows work employment at a minimum age of 18 as required by state laws. However, skills and competencies play a role in what specific job role you will have in the company. Due to the company’s need for diverse groups of people to work with, and the variety of responsibilities expected of such a large company, there are many entry level positions available which include the following. Pharmacy technicians: As aide to pharmacists and pharmacy managers, technicians mostly need to keep the store in check as the higher ups deal with sensitive or specialized tasks instead. They do most of what any other pharmacist would do with customers and prescriptions. This position is available part-time. Cashier: While the others cater to the medicine, cashiers cater to the customers. As the face of the store, they interact with others more than the other Pharmacy workers. They deal with both customer concerns and inventory concerns. They handle the purchases and simple accounting. Sales Associate: Greeting customers, answering questions of customers, offering recommendations on products, replenishing products, and keeping the overall cleanliness of the store are just some of the basic tasks done by a sales associate. This is ideal for those who wish to only do part-time work. Pharmacist: This position is the common core of the company, for without it there would be no pharmacy. The pharmacist position has most of the standard skills gathered with any Pharmacy degree. You only need to understand what you’re selling, and understand what prescriptions and medications are expected in the business. Inventory and Packaging Clerks: They handle some of the heavy lifting, as well as minor computer activities involving where products are, where products should be, and how products get there. A stocked store is a happy store, and the clerks keep it that way. Warehouse Associates: They do most of the heavy lifting by bringing things from the warehouse on-site. Knowledge in using heavy equipment is preferred, as warehouses can span large areas and have tall shelves. A careful balance of speed and grace is needed, as most products are either in glass bottles or should not be damaged. Pharmacy Leader: As a promotion from being a pharmacist, being a Leader means they have the responsibility of being a pharmacist as well as guiding fellow pharmacists throughout day-to-day tasks. They must be effectively knowledgeable about everything that happens within the store, so that new coworkers would have someone to rely on for information and advice. Health and Wellness Associates: What better way is there to promote a drugstore than to promote health and wellness? Health and wellness associates reach out to potential customers, showing them what Rite Aid has and can do. Knowledge in marketing and sales is a bonus, and often cater to the wellness section of the store. Maintenance Mechanic: Where there are heavy lifting machines, there are people who maintain them. Maintenance Mechanics fix and tune up the machinery responsible for the delivery and storage of possibly tons of vital liquids and consumables for the well-being of others. Tasks may include maintenance of vehicles and/or heavy equipment. Asset Protection Agent: Your job is to know how medicine should be handled. You are responsible for the supervision and adherence to the government laws and sanity standards of both the storage and distribution of the products in the business. They have an understanding the laws impressed by Food and sanitation Authorities, and know how or what can prevent their violation. Go to the official site to check for available job positions, then create an application profile. Next, upload or share your resume there. You can expedite the process by connecting through social media (Facebook, Google+, or LinkedIn). As of now there are no printable job applications available. They only offer the online application found on their official site, handled by ICIMS, a third party hiring software company. On your resume, putting up a rating on your skills would help your employer know your strengths and competencies. Experiences in retail or customer service are often preferred, so it’s best to update your resume with those in mind. Interviews are said to last about 15-20 minutes. Sell yourself in a professional manner, talking more on how you can be a team player. Wear smart casual or formal wear. A good first impression can land you a job where you would be facing customers often. 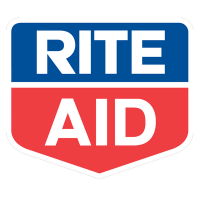 Like their slogan says, Rite Aid aims for a more “personal” touch, focusing on loyalty and teamwork, showing care for both customers and associates. Their culture celebrates diversity and growth, sharing to others the ease and convenience of their services. Their foundations made news: a $2 million donation to Kidcents Charities last holiday season, and relief efforts to the American Red Cross during the Southern California Wildfires. They also presented in the 6th J.P. Morgan Healthcare Conference last January 10. Rite Aid has become a household name when it comes to pharmaceuticals. Beyond being one of the largest drugstore chains in the U.S., It is now known to be a promising pharmacy franchise, with Walgreens investing on its own competitor. Focusing on being Caring Neighbors, a core value of theirs, Rite Aid is helping communities with their outreach programs, partnering with the Children’s Miracle Network Hospitals, the American Diabetes Association, and the American Heart Association, and founding their own foundation. 1 How old do you have to be to work at Rite Aid?